The Children’s Commissioner in the UK, Anne Longfield, has said that considerable emotional harm is being done to young children as a result of social media. She made the claims in launching a report on the impact of social media on primary school children. Almost seven years ago, Mark Zuckerberg suggested that under-13s should be granted access to Facebook. The fact that it is illegal in some countries (not the UK) for under-13s to be given access to social media hasn’t stopped millions of children using such sites. Besides, when the CEO of Facebook suggested children should get access, it was technically challenging for most of them to do so. The iPhone was only three years old itself. Nowadays, smartphones are an essential add-on for the playground; if you don’t have a smartphone in your pocket at school you risk being seen as an “outsider” or “not normal”. Concerns about the impact of smartphones and social media on children are not new. Back in 2008, for instance, a review of European research showed that there had already been 235 studies about children’s use of Internet technologies in just 18 countries investigated. Four years ago, the Daily Mail, suggested that the heavy use of the Internet was a mental health issue for children. It’s not just the Daily Mail, though. Medical News recently reported a study showing that smartphone use can damage mental health leading to depression and anxiety. Plus, almost a year ago, the Royal Society for Public Health published a league table of social networks and their impact on child mental health, suggesting that Instagram was the most negative. And it’s not just children who suffer. A recent study found that long-term use of Facebook is associated with a reduction in mental health in adults too. Mounting evidence like this shows one thing: social media is damaging to your mental health. We know from many years of research that face-to-face social activity enhances psychological well-being. Indeed, a range of ill-health problems is linked to isolation and loneliness. Once you take people out of their single existence, putting them into social groups, for instance, their health issues frequently disappear altogether. Social activity is life-enhancing. So, you might think that social activity online would also produce the same impact. However, the increasing amount of evidence shows that online social activity appears to have the reverse effect of a real-world social life. Rather than improving our mental health, it seems to lower it. The problem is, social networks play a psychological trick on us. They provide a short-term “high” making us feel good “in the moment”. The burst of neurological activity that you get when you see someone has “liked” your post makes you feel good. Seeing images of friends and having people talk with you on Snapchat also provides the same kind of brain impact. Essentially, the social media activity we see causes our “reward pathway” in our brains to be stimulated. The only downside to that is that the reward doesn’t last long, so we seek another “fix”. As yet there is no official diagnosis of “social media addiction” or, for that matter, “internet addiction”. But ask any therapist, and they’ll tell you that they see plenty of people with issues like this. Furthermore, the bodies that decide whether a psychological condition exists are the World Health Organisation and the American Psychiatric Association. They have rejected calls for technology addictions to be included in their diagnostic manuals. However, things appear to be changing. Just a few days ago, the World Health Organisation announced that it would now recognise “gaming disorder” where people could be given a diagnosis for excessive use of online games, for instance. Some experts have campaigned for “social media addiction” to be added to the diagnostic manuals too. So far, those calls have been rejected on the grounds of lack of evidence. But the evidence is mounting. The fact that social media makes us feel good in the short term only makes the potential for addiction higher. We can – thanks to smartphones – quickly go back for another quick fix. And so the cycle gets repeated. Adults can manage this, to some extent. Work helps, for instance, as it gets in the way of continually checking social media. But children with a lower ability for independent thought and weaker emotional skills are more vulnerable. They cannot manage their social media activity as well as adults. 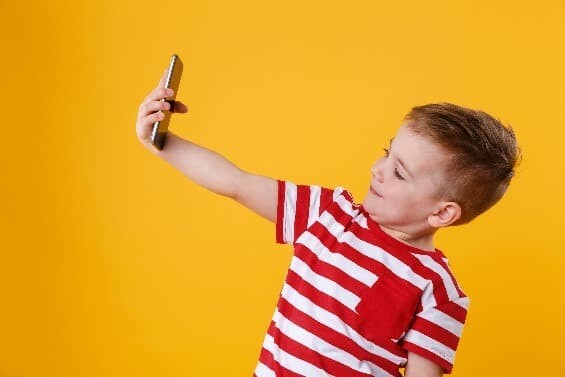 The time has come to accept that social media is harmful to children. True, it has some significant benefits too. However, many children use social media unchecked, unsupervised and without guidance. That’s like allowing them to roam the streets without ever giving them advice on crossing roads, dealing with strangers or how to find their way home. Yet, millions of children are using social networks that their parents do not use or understand. That cannot carry on. If you have children, you need to use and understand their social networks. That’s step one. The second step in helping is making a regular time for social media. Children will use it to stay part of their “in group”, but managing that brain impact is vital. Your brain wants another “hit” because it is never sure when it is going to get the required fix. But if you have a timetable then your brain can relax a bit, knowing it will be able to get another “high” at the appointed time. So, setting up a family “social media time” each day when the whole family uses social media is good for all of you. But parents also have to be good role models. That means as adults you also have to restrict social media usage to set times. Otherwise, your children will see that you can use social networks whenever you want, so they will do the same. Furthermore, by timetabling your own social media activity, you will gain psychological benefits too. The third step is to talk about what we see and share. Get your children to see discussion of what is seen online and the impact it has on us as normal. Otherwise, they see something that affects them and clam up about it because it isn’t “normal” to discuss such things. Social media and smartphones combine to provide a whole world of danger for children. As the Children’s Commissioner says, it can certainly be emotionally damaging to child mental health. The jury is no longer “out” on whether social media has problems. The data are in; social media can be harmful to your children. But there are steps you can take to minimise or even remove that danger entirely. Has the “smart content” bug bitten you yet? I am so glad to see the research that has gone into this post, I’ll be looking into them all in more detail. Thank you for putting tips to help, it always makes a difficult topic a bit easier to digest. It’ll be interesting to see how this develops as more research emerges. Let me know if you ever do a follow up!